"The search is on! 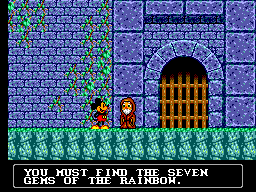 Mickey is on the trail of a wicked Witch named Mizrabel, who has kidnapped Minnie. 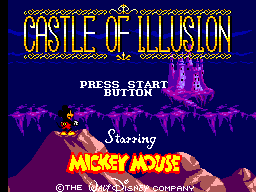 Mickey must find seven gems hidden in the fantastic chambers of Mizrabel's Castle of Illusion and use them to save Minnie. Can Mickey find them? It's up to you!" Complete levels four or five without collecting the gems. 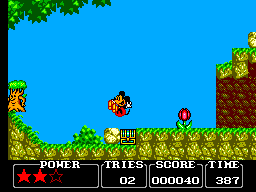 Then, return to those levels and collect the gems for a large number of bonus points.